In a world where technology seems to be evolving at an ever increasing pace, the role of the school governor has never been more important. Whilst it’s difficult to imagine a time before social media existed, let alone the Internet, it’s incredible to think that it was actually only four and half years ago that Ofsted first incorporated the briefing for the inspection of e-safety into its section 5 criteria. 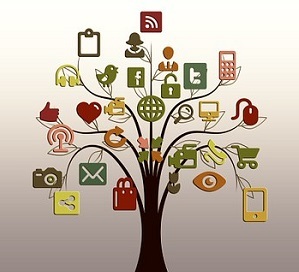 Since then, things have changed dramatically, with regular revisions being applied to reflect changing ways in which technology is being both used and manipulated within our society. Indeed, September 2016 saw some new additions, with Ofsted updating and republishing their guidance on ‘Inspecting Safeguarding in early years, education and skills’ to correspond with the changes to the latest version of the DfE’s Keeping Children Safe in Education’ statutory guidance on safeguarding. 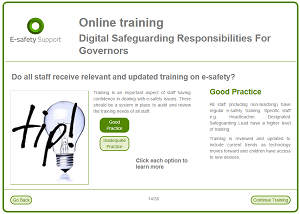 Amongst the updates included the clarification that designated members of staff for safeguarding need to have training every two years and their knowledge and skills should be refreshed at least annually. 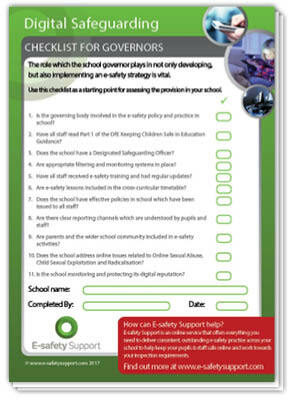 One of the responsibilities of the governing body is to approve and promote the schools online safety policy and review its effectiveness, yet an Ofsted survey held as recently as 2015 revealed that 5% of schools still didn’t have an online safety policy and for those that did, only 74% of students were aware of it. Whilst all schools should have a clearly defined online safety policy, a typed piece of paper will do little by itself, other than to serve as another box ticked. The key to the success of any initiative is how it is both managed and delivered. In the 2008 government report ‘Safer Children in an Online World’, it was found that schools who were ranked outstanding largely took a shared responsibility for the delivery of the policy, leaving it not just to the safeguarding staff, but including members of the wider workforce. The section 5 Ofsted assessment places great importance on the extent to which leaders, governors and managers create a positive culture and ethos where safeguarding is an important part of everyday life in the school setting, and this should be backed up by training at every level. With Ofsted having recently placed a greater emphasis on inspecting the effectiveness of the governing body, it’s become even more important that the governors work cohesively with the DSL and the senior leadership team, particularly in the area of safeguarding. This will drive the momentum required to continuously and proactively deliver online safety education and e-safety best practice throughout the year, not just if and when a safeguarding issue arises or when it is felt an inspection might be on the horizon. So, whilst the online threats might have changed with the progression of technology, the reasons how and why schools perform well in online safety hasn’t. Strong leadership remains pivotal in the delivery of a successful policy, whilst training is vital in keeping knowledge and skills up to date. At the same time, assemblies, parent workshops, tutorial time, PSHE lessons, and an age-appropriate curriculum for e-safety all help pupils to become safe and responsible users of new technologies.